F​reemasonry is a very important part of Andy’s life. He is proud, privileged and truly humbled by the honour to serve the Craft as Grand Master of Manitoba. Most Worshipful Brother McLennan was born in Winnipeg Manitoba April 20, 1959, he and his Lady Cindy have been married for 33 years. They have 2 children, daughter Charlene Knott (Son in law Terry) and son Very Worshipful Brother Jeffery McLennan. Most Worshipful Brother McLennan is a third generation mason who joined Charleswood Masonic Lodge #163 in 1981. He was Initiated February 23, 1981, Passed March 23, 1981, Raised April 27, 1981, and has held several offices during his years in Freemasonry. 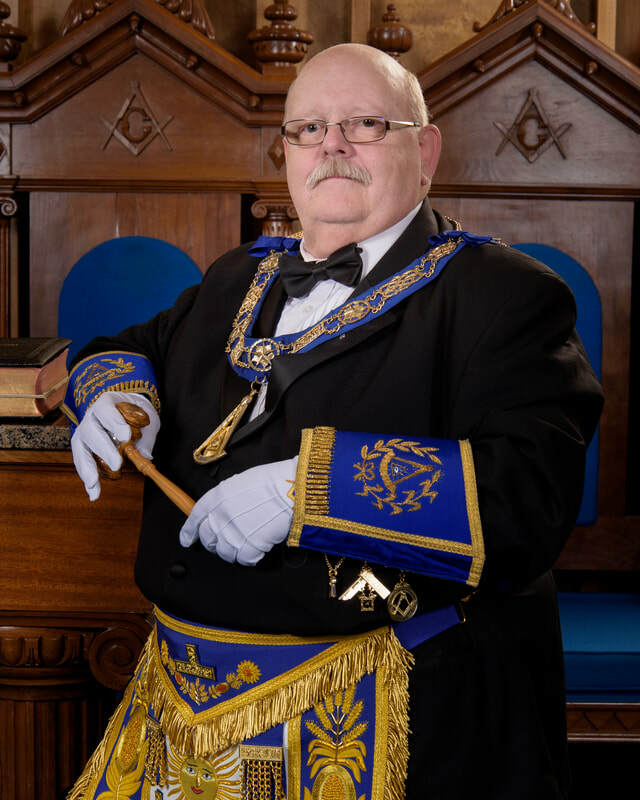 He has served as Worshipful Master of Charleswood #163 in 1989 and then as Worshipful Master of Charleswood Red River Lodge #184 2011 & 2012, as District Deputy Grand Master for the First Masonic District in 2014 – 2015, as Junior Grand Warden 2015 – 2016, as Senior Grand Warden 2016 – 2017 and as Deputy Grand Master 2017 – 2018. Most Worshipful Brother McLennan is a member of Scottish Rite Valley of Winnipeg, Prince Rupert #1 York Rite, Khartum Shriners, and Union Historical Lodge. He along with Lady Cindy and son Jeff are members of Friendship Chapter #67 Order of the Eastern Star. Most Worshipful Brother McLennan is also an Honorary Past Grand Junior Warden & Honorary Past Grand Senior Warden of the Grand Lodge of Saskatchewan and Honorary Member of the Grand Lodge of North Dakota. Most Worshipful Brother McLennan has over 20 years of volunteer service with Scouts Canada and has served as an adult leader in all 5 sections of the organization plus other positions as Group Commissioner, Area Commissioner, Provincial Returning Officer, and member of Adult Training Team for Manitoba. He is the recipient of the Medal for Good Service to Scouting, Bar to the Medal of Good Service to Scouting for continued service, Scouts Canada Centennial Medal and several other awards and commendations. Most Worshipful Brother McLennan is employed by the Liquor and Gaming Authority of Manitoba as a Network Administrator and he is part of a team that is responsible for the maintenance of the Information Technological Infrastructure and all Intellectual property of the Authority.